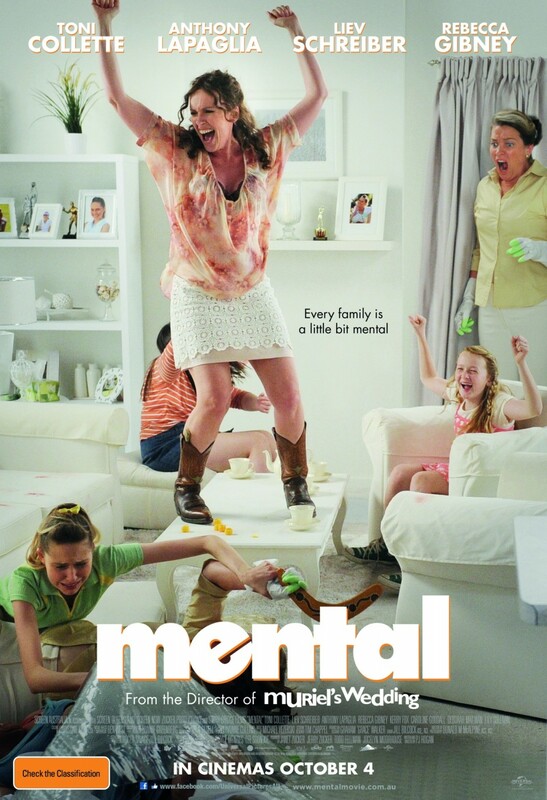 Mental is a wonderfully funny film. Written and Directed by P. J. Hogan (who brought us Muriel’s Wedding), it presents mental illness with humour that offsets an otherwise confronting subject. It breaks down the societal stigma associated with mental health issues with raw and very “Australian” humour. Toni Collette plays the ‘crazy hothead’, Shaz. Anthony LaPaglia plays Barry Moochmore, a local politician who puts his career over his family. His neglect causes his wife, Shirley (played by Rebecca Gibney) to literally break down. She is admitted to an institution, leaving her children without a carer. Unwilling to take on the responsibility himself, Barry finds Shaz on the street. He enlists her help to look after the kids while mum is “on holiday in Wollongong”. The children all believe themselves to have some sort of mental problem. Shaz’s ‘treatment’ will help them cope with life and in turn, lead to her own salvation. She too has unresolved issues to do with the death of her daughter and subsequent separation from her husband, Trevor Blundell (played by Liev Shreiber who does an excellent job with an Aussie accent). Overall, the acting is superb. Particularly, the kids who whose acting is refreshingly natural. Standout performances from Liev Schreiber, Toni Collette, Caroline Goodall, Anthony LaPaglia, Kerry Fox, Deborah Mailman, Rebecca Gibney, Lily Sullivan and Sam Clark. The movie is essentially about acceptance and forgiveness – a lesson we could all heed from time to time.